The Japanese Zen master Kokan Shiren (1278–1347) inspired the development of the Japanese rock garden and Bonasai with his short essay; Rhymeprose on a Miniature Landscape Garden. 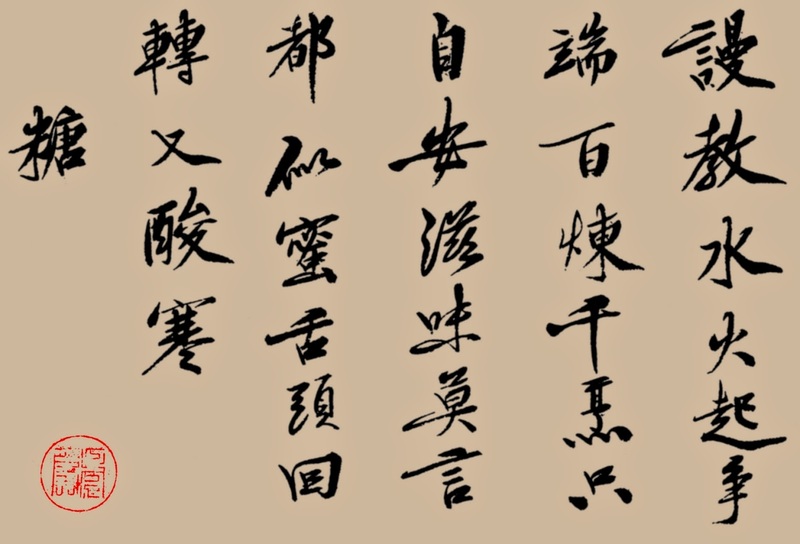 Kokan was also a renowned calligrapher. The image below is a Poem about Sugar from the mid 1300's. For more on this poem see HERE.